Sooo I have worn this sweater a few times. During Christmas, my younger middle brother, Brandon, said I looked like a pretty fuzzy snowball. A rare compliment, lol. But its super soft, you can dress it up with heels or dress down with some new sneaks. 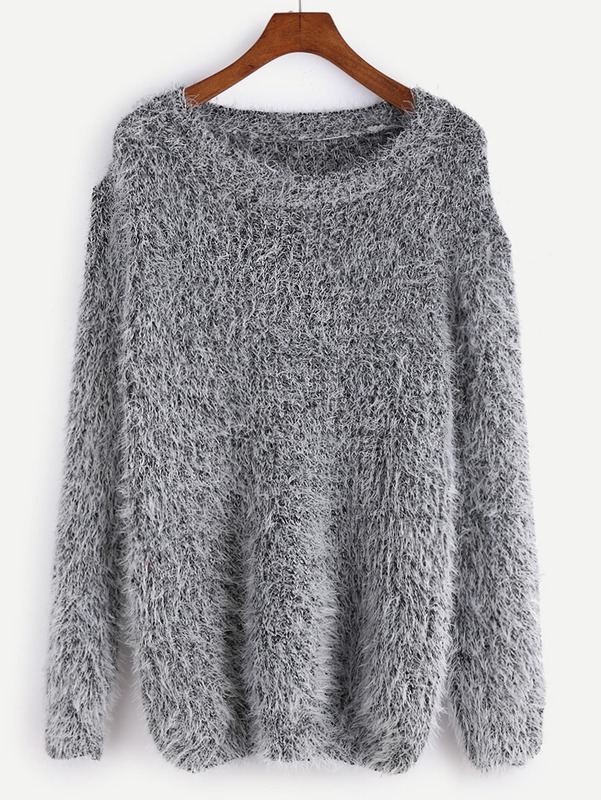 Quick link to this Grey Drop Shoulder Fuzzy Sweater !!! Snowball or not, I absolutely love love love this soft sweater!! !